A Key Performance Indicator (KPI) is a visual cue that communicates the amount of progress made toward a measurable goal. For more information about KPIs, see Microsoft Developer Network. Power BI Desktop - it's free! A Key Performance Indicator (KPI) is based on a specific measure and is designed to help you evaluate the current value and status of a metric against a defined target. Therefore, a KPI visual requires a base measure that evaluates to a value and a target measure or value, and a threshold or goal. Currently, a KPI dataset needs to contain goal values for a KPI. If your dataset doesn't contain one, you can create goals by adding an Excel sheet with goals to your data model or PBIX file. 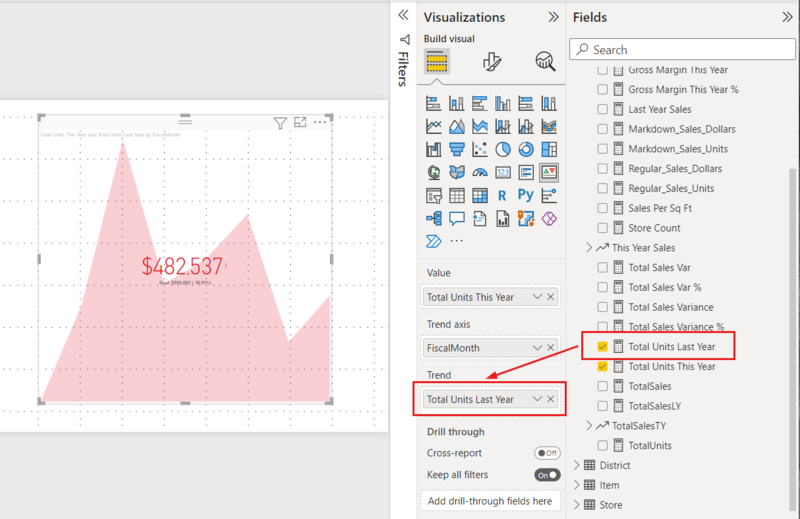 To follow along, open the Retail Analysis .PBIX file in Power BI Desktop. We'll create a KPI that measures the progress we've made toward a sales goal. Or watch Will show you how to create single metric visuals: gauges, cards, and KPIs. Open the report in Report view and select the yellow tab to add a new page. From the Fields pane, select Sales > Total Units This Year. This will be the indicator. Add Time > FiscalMonth. This will be represent the trend. IMPORTANT: Sort the chart by FiscalMonth. Once you convert the visualization to a KPI, there is no option to sort. Add a goal. Add last years sales as the goal. Drag Total Units Last Year to the Target goals field. Indicator - controls the indicator’s display units and decimal places. Trend axis - when set to On, the trend axis is displayed as the background of the KPI visual. Goals - when set to On, the visual displays the goal and the distance from the goal as a percentage. Color coding > Direction - some KPIs are considered better for higher values and some are considered better for lower values. For example, earnings versus wait time. Typically a higher value of earnings is better versus a higher value of wait time. Select high is better and, optionally, change the color settings. 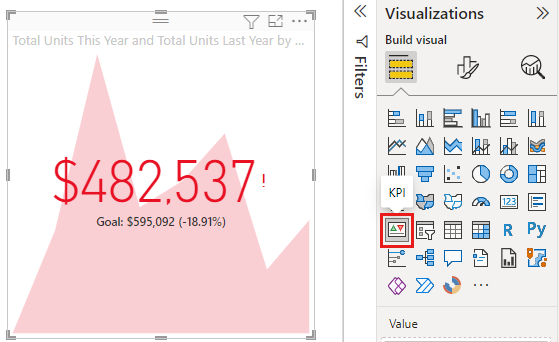 KPIs are also available in Power BI service and on your mobile devices – keeping you always connected to your businesses heartbeat. If your KPI doesn't look like the one above, it may be because you need to sort by fiscalmonth. 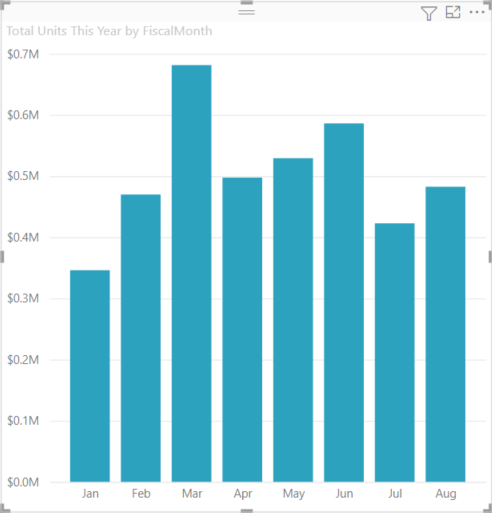 Since KPIs don't have a sort option, you'll need to sort by fiscalmonth before you convert your visualization to a KPI.